Hello, everyone! I am thrilled to say that The Gifts We Keep (April 16, 2019) is now a real physical book! The Ooligan Press digital department has created the ebook, the physical book is back from the printer, and the project team is hard at work with the social media department to spread the word about the upcoming release. Other members of the team have been soliciting reviews and articles from local media throughout the Portland Metropolitan area and making sure everything is ready for the book to be in bookstores and available online across the nation. With the launch on the horizon, my team and I are excited to see The Gifts We Keep out in the real world. Now is a hectic but really rewarding time for our team, because so many of our efforts for the past months are finally coming to fruition and we are now able to hold our reward in our hands: a beautiful copy of The Gifts We Keep . As part of this, we hosted a launch party to celebrate our author Katie Grindeland, her wonderful book, the new partnership between Ooligan Press and the Multnomah County Library, and to see many of you holding a copy of the book in your hands. A lot goes into planning a launch party. Our dearest wish was to find a wonderful, welcoming space that could hold the many excited members of our reading community who were eager to get their hands on The Gifts We Keep . Our goal was to provide a fun night of food, drink, and readings to celebrate everyone’s hard work on the project without breaking the bank. As with all events, advanced planning, coordination, and keeping true to a vision are key to assuring that the night meets everyone’s expectations. For this event, our team focused on fulfilling the desires of our author, Katie Grindeland, so that she and The Gifts We Keep could successfully take center stage and be celebrated by all of her friends and family. Together with Multnomah County Library and the Ooligan Press team, it was an amazing night, as local authors, a local library, and a local publisher all joined forces to celebrate our literary community. Stay tuned for more updates on the book’s official release on April 16, on Ooligan’s Facebook, Twitter, and Instagram! You won’t want to miss your chance to acquire your very own copy of The Gifts We Keep ! Click here to learn more about The Gifts We Keep and Katie Grindeland. 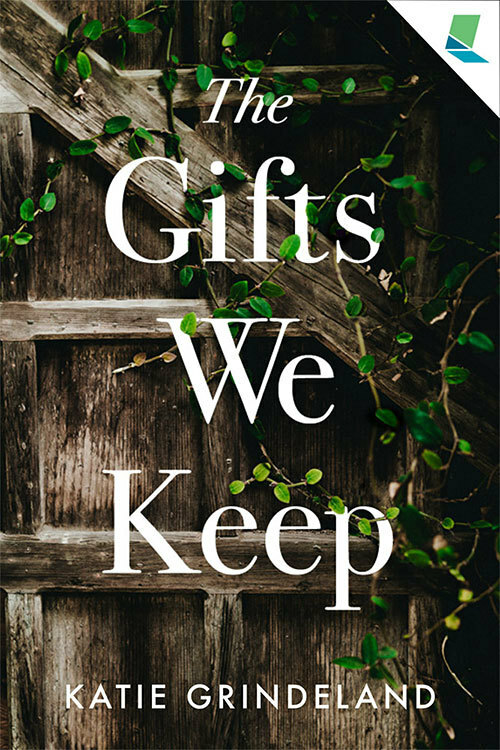 The Gifts We Keep will be available in both trade paperback and ebook versions beginning on April 16, 2019. Click here for more insight into the background and aspirations of the Library Writers Project and for information on how to submit your manuscript to the library.